With its open source release this week, GraphQL-as-a-Service company Hasura’s GraphQL Engine is looking to lift the burden on front-end and enterprise application developers who want to begin incorporating GraphQL’s data querying and manipulation capabilities in their preexisting Postgres-based applications without having to dig through the back-end of GraphQL’s code to implement it. Instant GraphQL APIs on existing databases: The Hasura GraphQL Engine allows one to start querying an existing Postgres database instantly with GraphQL. 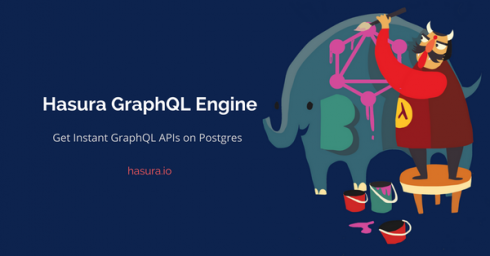 Developers can choose the tables from their new or existing database that they want to use GraphQL with and link those existing tables into a “graph.” This gives companies already using Postgres an easy, incremental way to start moving over to GraphQL, Hasura explained. High performance dollar-for-dollar: Unlike others, Hasura said its solution is an extremely lightweight engine that consumes only 50MB of RAM even while serving more than ~1000 requests/per second, delivering matchless ROI. Built-in authorization and authentication: Hasura’s GraphQL Engine comes with a granular, dynamic access control system that integrates with existing authentication systems such as Auth0 or custom implementations. This further aids in the incremental journey toward adding GraphQL to a company’s existing applications. The Hasura engine enables developers to define who can access what data (admin, anonymous users, etc.). Announcing AR/VR Week at raywenderlich.com!